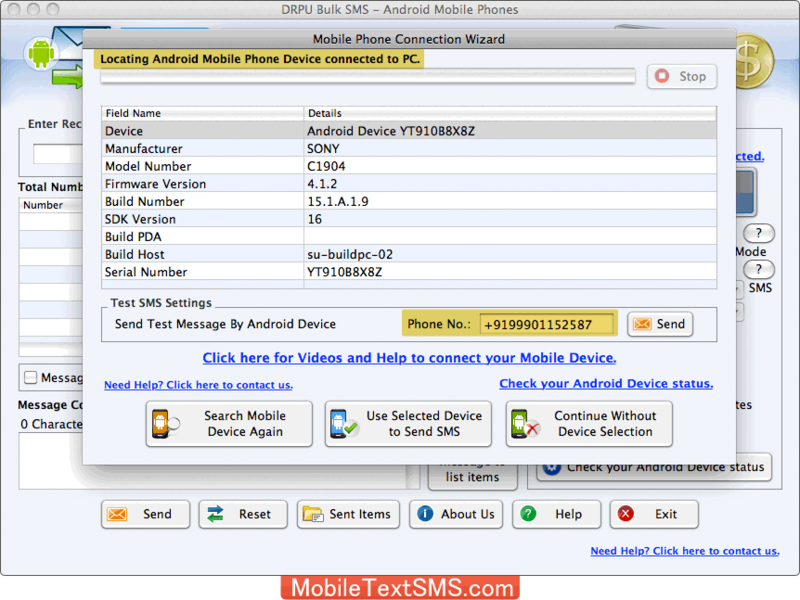 Mobile Phone Connection Wizard shows connected android device with option to check Test SMS Settings. 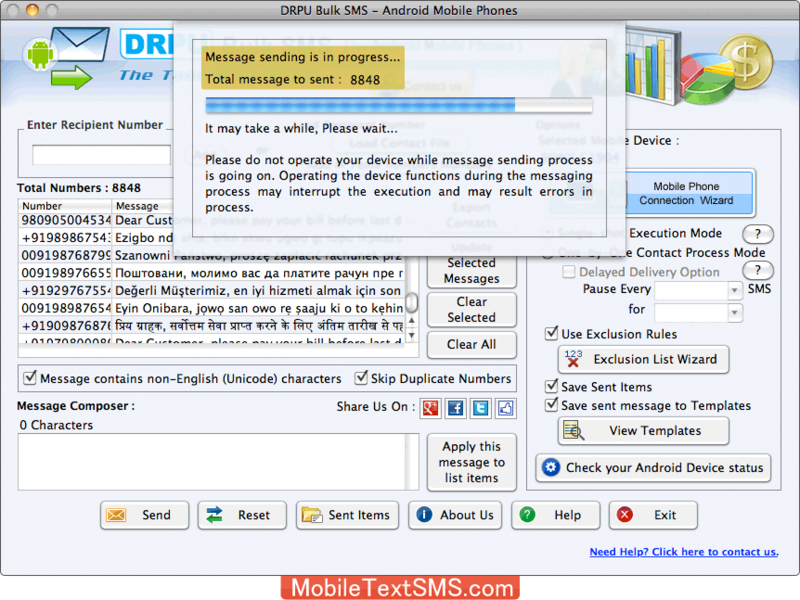 If your mobile device is connected to Mac successfully, you can use selected mobile device to send SMS on clicking “Use Selected Device to Send SMS” button. 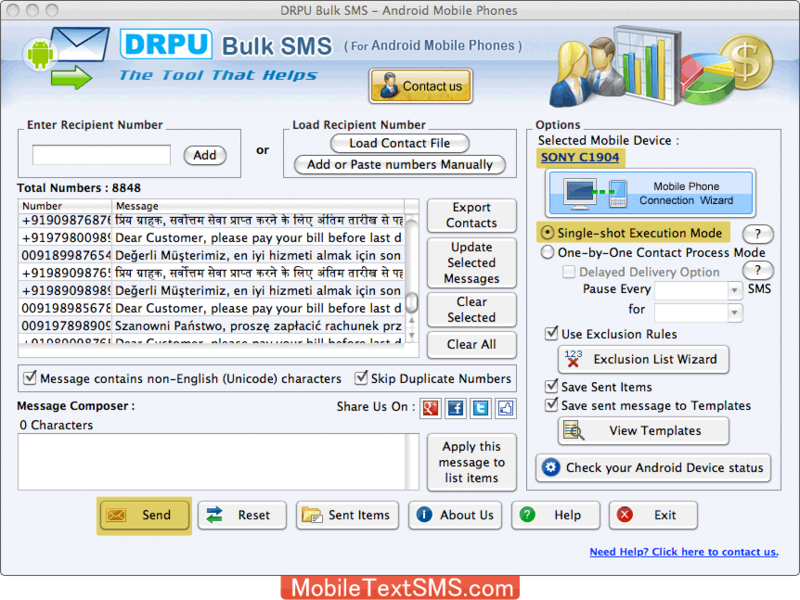 Load Recipient Number and choose options like Delayed Delivery, Exclusion Rules, Save Sent Items etc. Then Click on Send button to start sending process. Message sending process is in progress. 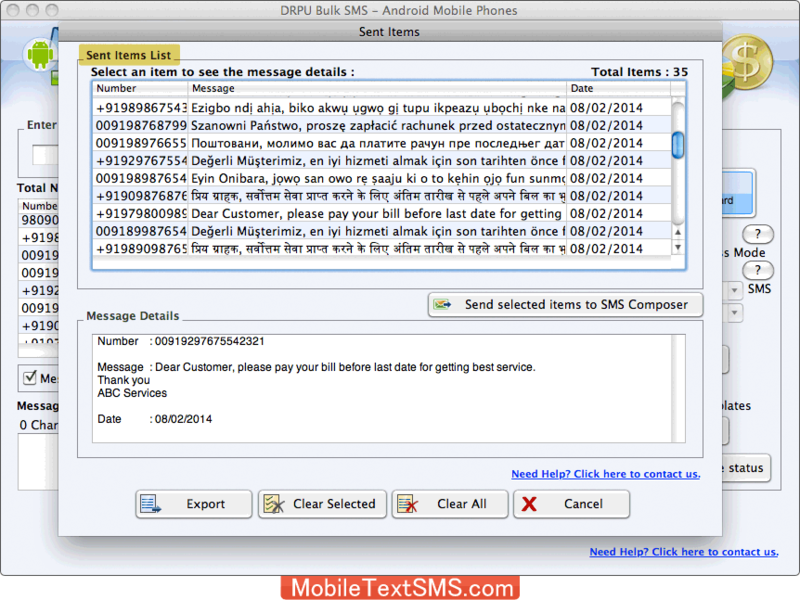 Here, is your sent item list, You can also export sent items in .txt and .html file format.